The bandaid is for my bumper because a rock hit and cracked the paint in a nice little spiderweb. $150 to respray or $3 for a comical decal. 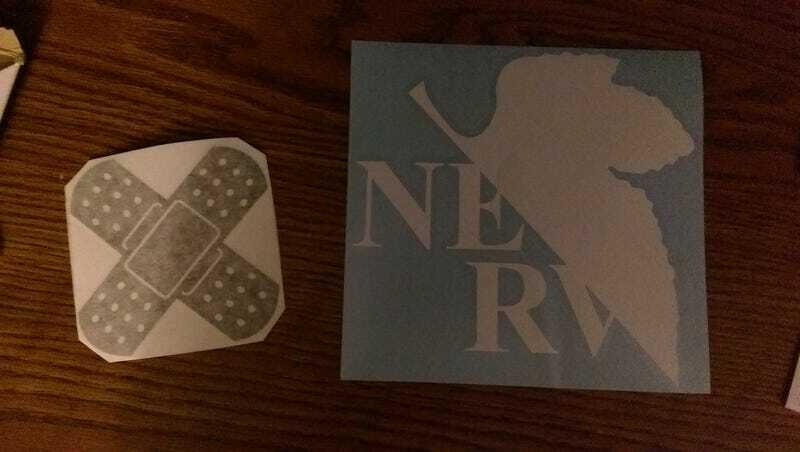 Also NERV because NERV. They had the “God is in his heaven. All’s right with the world.” but I didn’t want someone keying my car because they didn’t understand.